"I will be making a major announcement concerning the Humanitarian Crisis on our Southern Border, and the Shutdown, tomorrow afternoon at 3 P.M., live from the @WhiteHouse," Trump tweeted without providing further details. 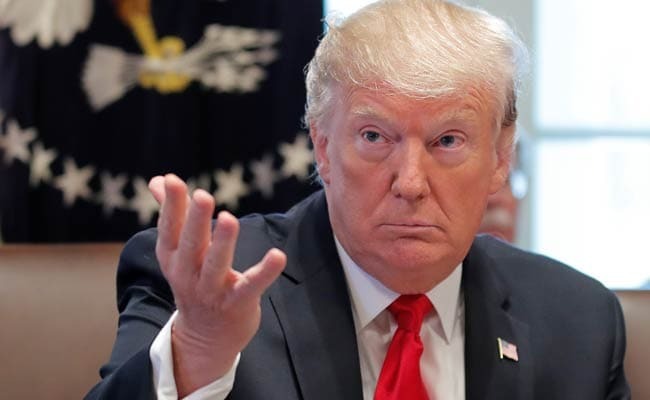 US President Donald Trump will make a "major announcement" Saturday about the long-running US government shutdown and the situation on the country's southern border. The partial shutdown -- which began when Trump refused to sign off on budget legislation that did not include funding for his planned border wall -- enters its fifth week on Saturday. Trump has mulled declaring a state of emergency on the southern border in a bid to secure funding for the wall without congressional approval -- a move that would almost certainly lead to a challenge in the courts. The shutdown -- the longest in US history -- has paralyzed Washington and resulted in 800,000 federal employees being furloughed or working without pay.